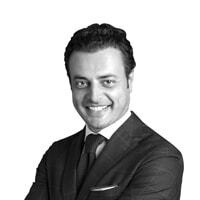 Managing Partner of Dezan Shira & Associates, Mr. Alberto Vettoretti, will be attending the Asia-Eruope Meeting's 14th Asia-Europe Business Forum in Milan, Italy from October 15 - October 16. Alberto will also be meeting with clients and partners in Milan from October 15 - October 17, and Treviso from October 20 - October 22. The Asia-Europe Business Forum will provide a unique opportunity for Asian and European business to network and exchange views on economic and investment relations and to debate how best to meet today’s challenges while constituting a high level platform to engage with political leaders from Europe and Asia in a concrete and constructive dialogue. If you have any questions regarding how Dezan Shira & Associates can assist you in establishing or operating your business and wish to arrange a meeting with Mr. Vettoretti, please contact him directly at alberto@dezshira.com.